Today, “Bounce Hit” is an exercise used by coaches to achieve many different outcomes. Many coaches know of the almost magical effect it can have upon making contact with the ball for beginners and the quality of contact for more competent players, but perhaps do not know of its origins and the extent to which it can be used to improve technique. Many coaches use it to help students with relaxation, and are aware of course, of its primary purpose – increasing concentration. In this article we hope to clarify the various ways “Bounce Hit” can be used. 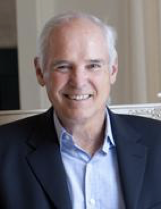 The concept of “Bounce Hit” was developed by Tim Gallwey, the originator of The Inner Game. The exercise was designed to help students quieten their minds from distracting thoughts about their performance or learning, by focusing upon the ball in a very specific way. Tim Gallwey explained that these distracting thoughts are typically driven by fear, anxiety, doubt, anger and frustration about the process of learning or the competitive situation. When focusing upon saying bounce and hit the mind is focused away from distracting thoughts, and there is a corresponding increase in the concentration available which allows natural learning to take place. So how is this achieved, other than just asking the student to call bounce and hit? ( ) explanation of the action and/or theory behind the use of ‘Bounce Hit’. Co 1 – I would like you to do an exercise that will help in many ways, it is a little different. Is that OK? (If the student asks for an explanation I usually encourage them to have a go first then we can discuss what happened). Co 2 – Ok, could you simply call bounce when the ball lands on your side of the court and hit when you strike it with your racket? Co 4. – So, where was the other 3 out of 10? P – Oh, I was thinking about how I was hitting the ball. Co – OK. Lets go! (What I experience here is that as the student’s focus on the exercise of Bounce – Hit increases their strokes become more fluid, natural and less inhibited). Co 3a – Which one out of bounce and hit would you say you are most accurate at calling? P – I think I am more accurate at calling bounce. Co – Ok. How about seeing if you can call both bounce and hit with the same degree of accuracy? (This has the effect of increasing the accuracy of the calling and therefore the timing and effectiveness of the shot). Co – Would you like to have a go at Bounce – Hit – Bounce? Co – So for this exercise, you call bounce when the ball lands on your side of the court, hit when you strike it and then bounce when the ball lands on my side of the court. Co – So, how much of your attention, out of 10, would you say is on this exercise? P – Oh about 6. Co – Where is the rest of your attention? P – I was thinking about where the ball was landing. Co – OK. Would it be possible to call the ball wherever it lands, even if it hits the back fence, the net or the ceiling? Remember the exercise is to call B-H-B wherever the ball lands. It is not about whether the ball lands in or out. P – Yes. OK then. The final progression to rallying, involves calling Bounce – Hit both ends. This results in significantly longer rallies providing attention is high on the exercise and the calls are non-judgmental observation. Focus deepens and total absorption is possible where learning/performance is maximised. Sometimes when the student begins to rally it is noticeable that their voice sounds strained or tense on the hit – a different tone from the announciation of the other words. This can be a sign of unnecessary physical tension. Ask the pupil to say the word hit the same way as the rest of the words. This can “calm down” the stroke and of course becomes a focus in itself. Equally it is fun to ask the pupil to play with the way “hit” is said, to try saying it louder or more aggressively and to notice the effect that it has on playing. In our one day introductory sessions we ask coaches when they might use “Bounce Hit”. Bounce Hit can also be used in drills practices such as; rallying for depth, 3rd ball put away, rushing the net, return of serve….. and many more. All the coach has to do is facilitate the exercise as in the dialogue above. As coach, if you can help your students focus their attention and raise their awareness of the ball, within a safe and non judgemental environment, you will see some encouraging developments in their learning and performance! By Caroline Harris and Andy Knibbs.